Create a woodland winter tree with glass pinecone ornaments in creamy hues with accents of gold. Each ornament measures 1.5" high. 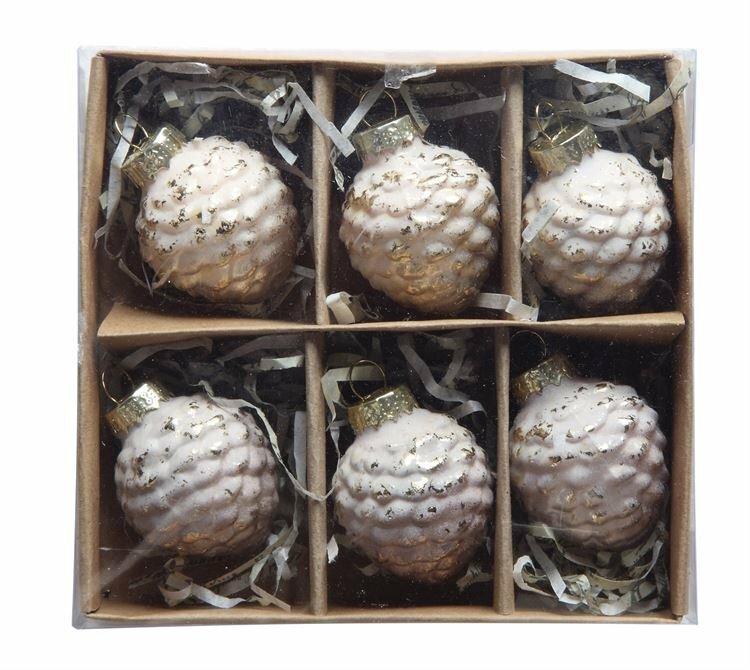 The boxed set contains 6 glass pinecone ornaments. Imported by Creative Co-op.